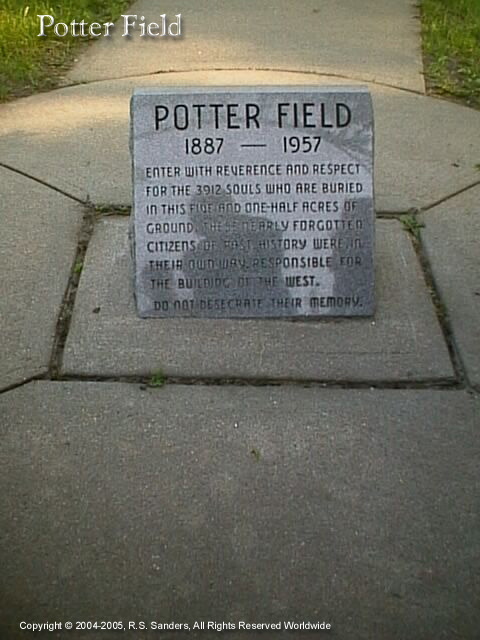 The cemetery known as Potters Field is a five and a half acre plot of land used as a cemetery during the pioneer days. 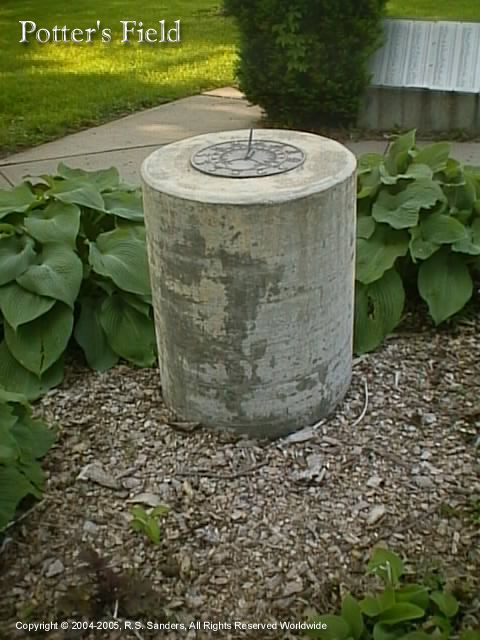 It is now one of Omaha's (almost) hidden treasures. 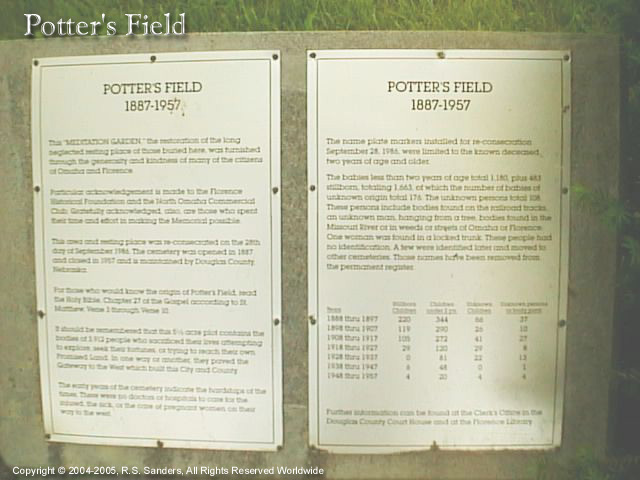 Potter's Field was used from 1887 to 1957. 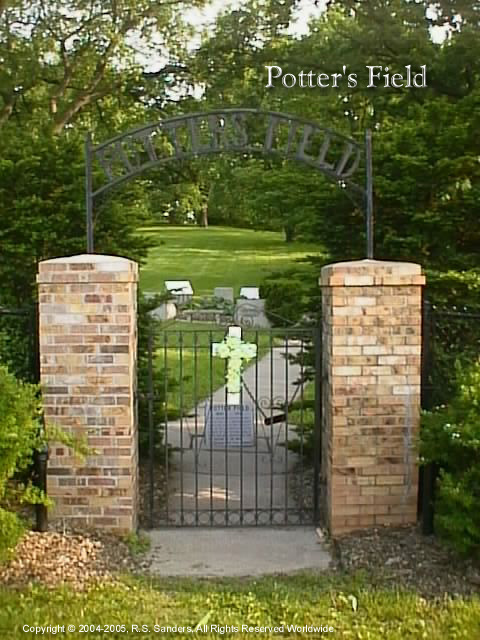 After the cemetery was no longer used, the grounds ran in disrepair, depending on relatives of those that were buried there to maintain it. As the descendants decreased in numbers, the cemetery was starting to be taken over by the overgrowth. Now, the cemetery has been taken over by Douglas County for maintenance.